" How can you walk away from something and still come back to it ?" When you walk around the world, you might get some distance from where you started. However, you are also getting closer from where you left as well. wow i love this !! Coraline gave me a idea for a book to write about this tomboy. Awwww!!!! I love this movie! ahhh i loved this movie!! this thing is so cute! I really admire the soft colors and intricate line design for this piece. Her expressive eyes are also exquisite. Nicely done. GASP! 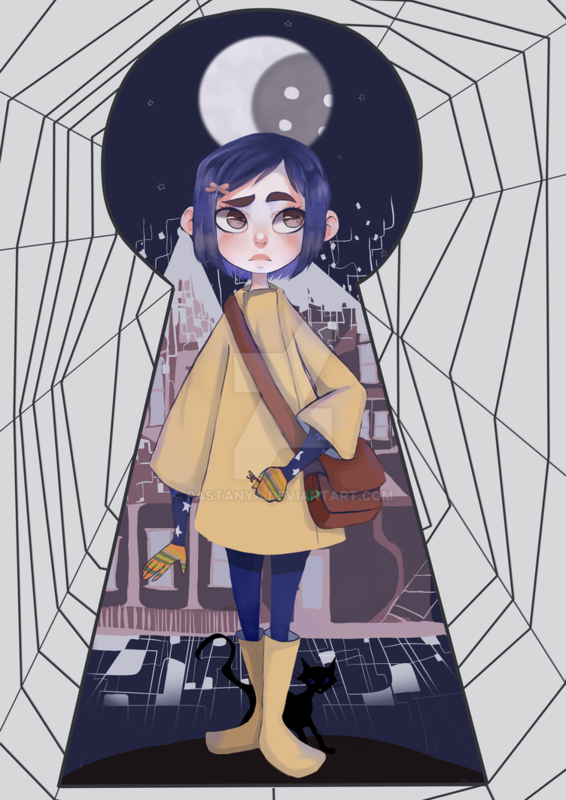 Coraline is one of my favorite books and films! This is...awesome! Haha yeay I love them !